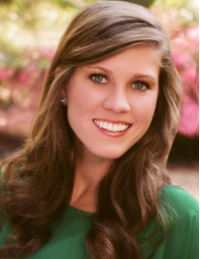 Kelsey Pettus is a Youth Commissioner for Volunteer Mississippi and represents Youth Commissioners as a Board Member for America’s Service Commissions. Currently, I am a student at the University of Mississippi where I am a part of the Sally McDonnell Barksdale Honors College. My parents have instilled in me the importance of hard work and determination. Because of their love and support, I have been able to achieve many goals that I have set for myself, and I am determined to reach future goals. I give my parents full credit for the person that I am today, and I am so thankful for their encouragement. 2. What has been your best moment so far serving with your state commission? Two years ago, I was given the honor to serve as Chair for the Governor’s Initiative for Volunteer Excellence (GIVE) Awards. The GIVE Awards give Volunteer Mississippi and the Office of the Governor the opportunity to honor those who have made a difference in their communities and the state of Mississippi through service each year. I was so honored to be able to meet some outstanding people and thank them for their service and leadership in the state of Mississippi. Their stories inspired me to become more involved with certain service opportunities that are presented throughout my community and the state of Mississippi. It was truly an inspiring and memorable experience, and I am so thankful that I got to be a part of it. As a student at the University of Mississippi, hearing the success stories of mentors, teachers, and older students is what keeps me motivated. I aspire to one day attend medical school and become a practicing doctor, so when I hear stories of people older than me who have worked hard to reach their goals, I am motivated to continue striving towards my own goals. The great hope that I have for my future and the love and support that I receive from my family and friends are enough to motivate me to one day become successful. 4. In one word what would you describe as your greatest strength?